OPPO Electronics Corp. is a China based Electronics manufacturing company which is also a Smartphone maker. It has launched a whole range of smartphones previously. Realme on the other hand is a sub-brand of the Smartphone Giant Oppo which is launched to compete in the budget segment with its peers. The phones under Realme are quite affordable and packed with the latest features to satisfy its budget constrained consumers. Oppo Realme 1 was the first Smartphone launched by Realme and was the cheapest 6 GB RAM phone available in the market at the time of its launch. It is one of the best mid-range cell phone available from Oppo smart phones. The Realme 1 is Oppo’s first device in a brand new ultra-budget line. 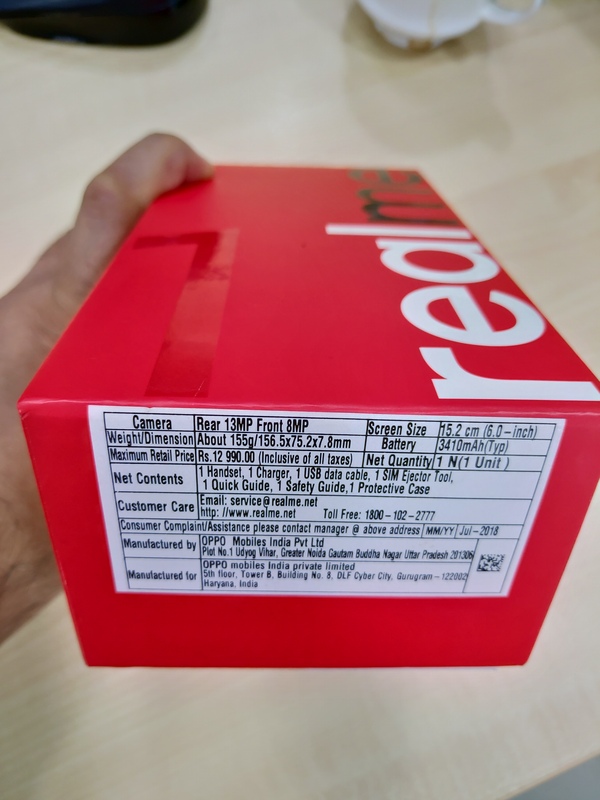 The Realme 1 seems to show all the signs of being an “introductory device” . Let us first see the specifications of the Oppo Realme 1 phone and the whole review will be divided into the Pros and Cons so that you guys can decide whether you should purchase this phone or not. 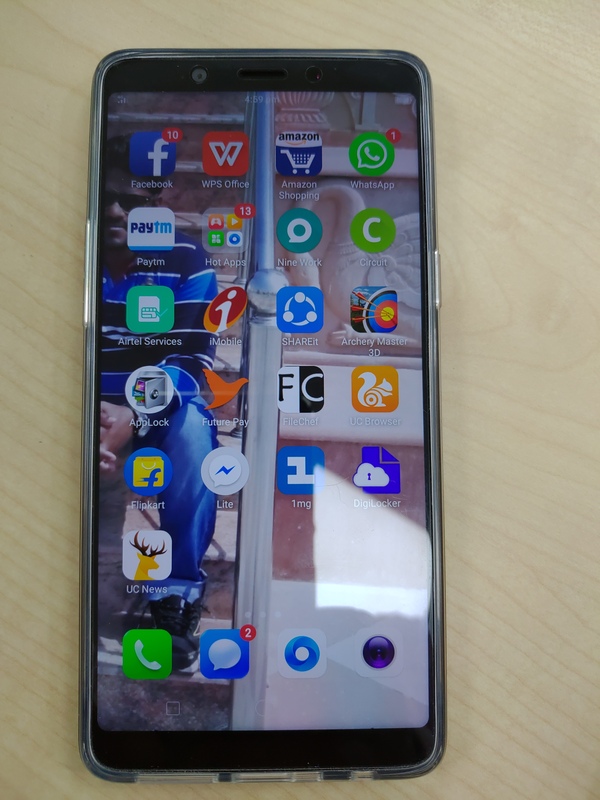 Oppo Realme 1 runs on the Android 8.1 operating system. The phone is available in three variants available i.e. 3 GB RAM, + 32 GB storage, 4GB RAM & 64 GB storage & 6 GB RAM + 128 GB storage. Output via the 3.5 mm Headphone jack is exceptional and hence the best device for the music lovers. There is a dedicated slot for the Dual SIM. Available in three colours Silver, Solar red and Diamond black. The Mediatek Helio P 60 processor is very powerful and is better than even Snapdragon 636 Chipset. No lag whatsoever in the day to day phone usage all thanks to the powerful Helio P 60 Chipset. There is only one speaker given at the bottom of the phone but it is sufficiently louder to hear the calls properly. The phone is equipped with the Dual 4G Volte and hence you can use 2 Volte SIM cards simultaneously in the phone. Dedicated Micro SD card slot given hence storage is not at all a problem. Though the Front Camera is just 8MP but it is one of the best cameras in this price range. The face unlocking is quite responsive. The 3410 mAh battery lasts sufficiently for one full day in a single charge for a heavy users whereas it lasts easily for one and a half days for a moderate user. There is no protection for the screen as such like Gorilla Glass or anything else. The base variant which comes with 3 GB of RAM has the problem with RAM management and hence apps will run out of memory. There is no physical LED notification light present on the phone and hence you might miss any notification on the phone unless you turn your screen on. This should surely be improved by Oppo Realme 1. There is no security feature of Finger Print Scanner in Oppo Realme 1 which is one of the major disadvantages of this phone in comparison to its peers. Though the Face unlocking is quite responsive and fast but it’s not as secured as the Fingerprint Scanners. The phone does not support Fast Charging and takes around 2 hours to get charged from 0-100% with the supplied charger. I am a little disappointed with the built quality of the phone as it is not metallic but plastic body. Though the patterns on the back gives it a trendy look but still all the other phones in its range have a metallic body which is not the case with the Oppo Realme 1 phones. It weighs just 155 gms and hence feels light to carry. Plastic body makes it non slippery and provides a firm grip on the phone. Oppo Realme 1 phone is a budget smartphone and provides many top notch features that phones above 15,000 provide. What I would personally suggest is not to go with the base variant which is 3 GB RAM and 32 GB internal memory because of the improper RAM management. The second variant is very apt for the general usage and hence you can surely purchase it. Except the lack of the Finger Print scanner and not so good built quality, Oppo Realme 1has everything it needs to be a promising Smartphone. Now, considering the above pros and cons, it is up to you to decide whether you should buy it or not.